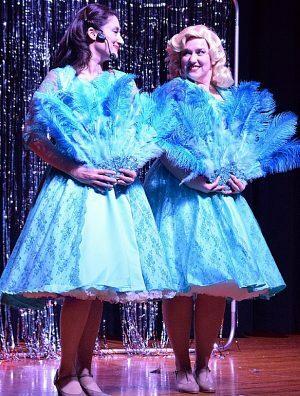 FULTON – Sisters Betty (Rebekah Tadros) and Judy (Jessie Dobrzynski) perform the well-known “Sisters” song and dance from Irving Berlin’s White Christmas running Dec. 7-16 with Friday and Saturday evenings at 7:30 and Sunday matinees at 3 p.m. The production will be presented at the Fourth Street Education Center at 167 S. Fourth St., across from Voorhees Park. For tickets and more information, visit www.CNYArtsCenter.com.